A while ago, the New York Times ran an interactive article identifying the 20 best shows (in the author's view) to have aired since "The Sopranos" debuted 20 years earlier. "The Shield": Simply brilliant in terms of how it made you root for who would ordinarily be the antagonists of a show. I felt dirty hoping that corrupt cop Vic Mackey would get away with his schemes, which is a testament to the writing and the acting. Yeah, it wasn't as realistic as "The Wire," but it was far more interesting. "Battlestar Galactica": The ending didn't make much sense, and it tended to sag in the middle of each season. But it was so dark, gritty, and intense in its peak episodes, with a more or less continuous story lasting 4+ years (counting the mini-series and "Razor" movie). I'm reading the unauthorized oral history of BSG (both incarnations), So Say We All, and I just got to the section about the mini-series. "Veronica Mars": A teen noirish mystery that launched Kristen Bell's career. I didn't watch the third/last season, and haven't gotten around to the movie either, but that first season was twisty. "Justified": This would also make my all-time list. I used to think Captain Kirk was the coolest character on TV, and Jack Bauer was the most interesting. Kirk has been supplanted by Deputy U.S. Marshal Raylan Givens, whose misadventures in Harlan County, Kentucky, were laconically intriguing. I loved how Givens' character could be summed up in an eight word sentence he once told a bad guy: "You make me pull, I'll put you down." And of course he would make sure that he was justified in shooting. "The Wire": I know that it is a common opinion that this is the best show ever in the history of television. I just found it dull and populated with boring characters. It's not that I don't appreciate characters with shades of gray -- notice that I loved "The Shield," and the main character in that is a bad guy! Pretty much every actor in "The Wire" that I've seen elsewhere has been better elsewhere, from Lance Reddick in anything, to Wendell Pierce in Amazon's "Jack Ryan," to Michael B. Jordan in "Black Panther." "The West Wing": This has seemed to me like the left-wing version of "24." Each presents a fantasy world where its proponent's fears are being realized, and stopped only through the proponent's heroism. "Breaking Bad": I need to watch this. A major reason I haven't yet is that I'm not ready for my image of the goofy dad from "Malcolm in the Middle" to be overwritten by Walter White/Heisenberg. 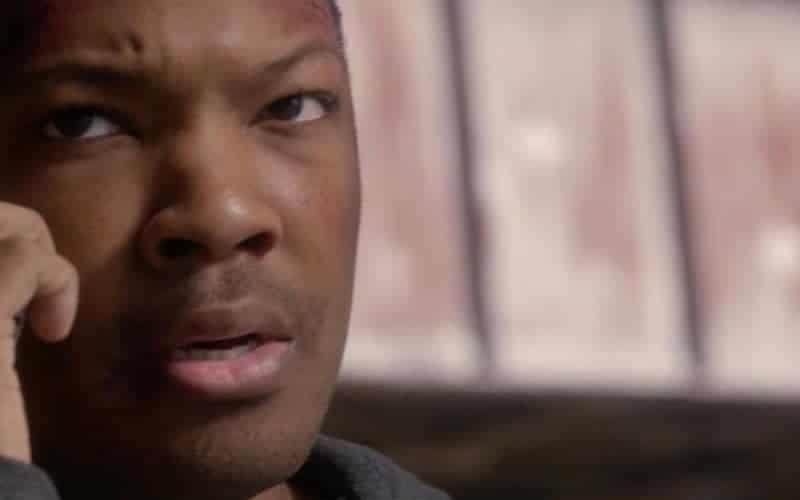 "24": Yes, it's more fantasy than "Battlestar Galactica" in a lot of ways, but for sheer adrenaline rush, there's nothing like it. I watched every season as it aired starting halfway through season 2, then watched them all on DVD, and then over the course of several months streamed them all while running on the treadmill. My wife has asked me how I can watch it over and over, and the answer is, I can never get enough of Kiefer Sutherland's intensity as Jack Bauer, yelling, "Tell me where the bomb is!! There's no time!!" "The Last Ship": Military valor, end of the world pandemic, conspiracies -- yeah, I'm a sucker for all of that. "Scandal": Another show that was basically fantasy, but it was as addictive as "24" was. I loved it whenever Olivia Pope was in "I'm in control" mode, which was most of the time. I liked it a lot less when she in "I'm moping over President Grant" mode. "Star Trek: Discovery": I get that it's controversial. It's a lot darker than the usual Trek series (even "Deep Space Nine"). But I like that. Based on season 1 (I watched the DVDs, so can't watch season 2 yet), it's my second favorite Trek series. It could move up to #1 with more excellent seasons. It would have to get a lot worse to drop to #3. "Hawaii 5-0": I don't claim that "Hawaii 5-0" is good in the ways that critics view shows. I find it hilariously entertaining, less so in the mystery of the week than in the character interaction (no show is complete with McGarrett and Dann-o bickering, and without the shrimp truck guy), and it's the only show on TV I can think of that features multiple regular actors who are of Asian descent, which is worth supporting alone for the Asian diversity factor (even if the show ended up making Daniel Dae Kim and Grace Park leave because they weren't paid the same as Alex O'Loughlin and Scott Caan). The following takes place between 10:00 pm and 11:00 pm (Pacific time). All events occur in real time. In a dark bedroom, a smartphone rings. CTU Agent ERIC CARTER rolls over, groans, and answers the call. The caller is CTU analyst ANDY SHALOWITZ, who apologizes for the late call but says this is a critical matter. Eric jumps out of bed and heads to the study, where he says, "Go ahead." Andy reminds Eric about the downed U.S. drone being held by the Russians. "It's made by Atomic Aviation, so naturally we've been running trace programs to make sure there aren't any moles in the company." "Get to the point, Andy!" "Someone accessed the algorithm within the last half hour, and then deleted the record of that access. I think someone is trying to get the algorithm to the Russians." Chloe O'Brian and Kate Morgan arrive at the Los Angeles International Airport and park in short-term parking. On the shuttle ride to the terminal, Kate asks, "What is the plan, Chloe? We can't just fly into Russia." "I just need to make some connections, and then we can figure out where to go. This way, we can catch any available flights based on where we need to be," Chloe says. It's late in the evening, but LAX is still pretty active. Chloe finds a comfortable "business traveler" cubicle and gets on her laptop. Kate says she's hungry and goes off to look for something to eat. She asks if Chloe wants anything, but Chloe declines. "Every day I think about what I should have done that night. I let my husband down, I let Audrey down, and I'm afraid I'm going to let you down," she continues. I know who you are. Why are you contacting me? We have a mutual friend who's overstayed his welcome with his foreign friends. It's time to bring him home. As far as I'm concerned, he's where he belongs. Tony ends the text chat. The President has reconvened a meeting with the National Security Advisor, the Chief of Staff, and a couple of generals. The National Security Advisor updates the group on the status of the downed drone: the current estimate of time before the Russians break the software encryption has narrowed to 12-24 hours. The Chief of Staff suggests two possible approaches, one diplomatic, one military. The diplomatic one is to offer to exchange a few high level Russian spies currently serving prison sentences for espionage for the drone. One of the generals asks, "What guarantee do we have that the Russians won't have already cracked the software before the exchange?" "We'd have to insist that the drone be turned over immediately." The general persists: "What makes you think they're go for this? The intelligence value in that drone has got to outweigh whatever concern they might have for their own people, if any." The Chief of Staff shrugs. "We don't have to choose one or the other approach. We can proceed on both. In fact, they might provide cover for each other." The President asks about the military option. "We deploy SEAL Team 6 on a covert mission into Russian to destroy the drone." The skeptical general scoffs. "How the hell are we going to insert a Special Ops team into Russian territory to find that drone - and destroy it - in 12 hours?" "Well, we don't have any better options," the Chief of Staff says. The President asks the general if there are any other military options on the table. The general admits that there aren't. The President exhales and then directs them to proceed with both options. Kate sits next to Chloe and asks, "Where do we stand?" Chloe says, "Belcheck is on. He's on his way to Moscow. But I'm having trouble getting someone else we need." 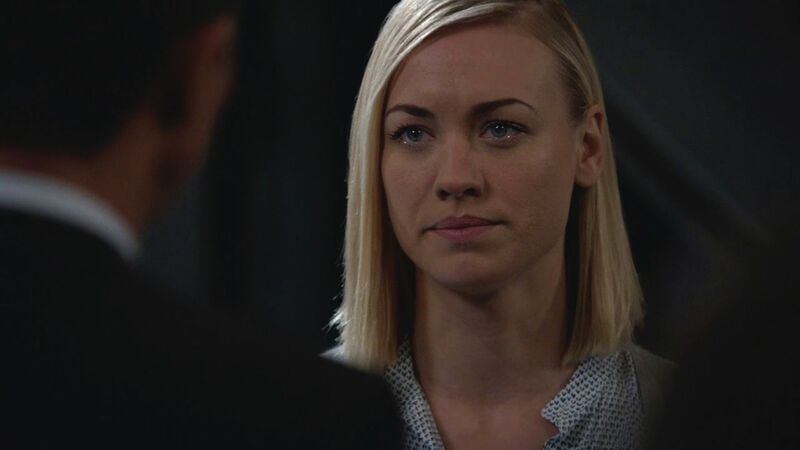 Chloe tells Kate about the background between Tony Almeida and Jack Bauer. "Everything changed for Tony after his wife Michelle was murdered. We thought Tony got killed in CTU, but it turned out he survived. He got connected with some seriously bad people, but we thought he was doing it to infiltrate them. It was all a ploy to get close to the man who ordered his wife's death. He was all set to get revenge but Jack stopped him. So he hates Jack now." "Why do we need him? He sounds psychotic." "Next to Jack, he's the best field agent I know." Chloe pauses. "I don't know you that well," she adds. SIDRA walks in behind Tony Almeida and sees him clutching his phone in a death-grip. "What's wrong?" she asks. He shakes his head. "Stuff from my past, trying to drag me back." "Don't get distracted, Tony. We got a nice score tonight, but it was way more dangerous than it should have been. You need to be on top of things." "I know. This is nothing." Tony's phone chirps again, and he instinctively responds. A video fills his phone's screen. It's footage of a man being beaten viciously. "Is that Jack Bauer?" Sidra asks. Tony grunts. "He's in some Russian helllhole. Not surprising considering how many Russians he massacred eight years ago, and then again four years ago." "Weren't you close to him at one point?" He glares at her. "That's in the past. Besides, when I was so close to getting the vengeance I wanted, he stopped me. But when he wanted vengeance, he went berserk and slaughtered everyone he thought was responsible. As far as I'm concerned, he can rot in that hellhole." Sidra says, "Good. I'm working on a way we can sell the guns we kept from tonight's busted deal. Don't get distracted." Tony looks at the last paused image of Jack's bloody face. "I won't." The following takes place between 9:00 pm and 10:00 pm (Pacific time). All events occur in real time. Jack Bauer is being restrained by two Russian prison guards just outside a prison cell. Gregor Stolnavich, whose uncle Anatol Stolnavich, was killed in "24: Live Another Day," is delivering a brutal beating to Jack Bauer, mostly body blows but a few shots to the head. After years of captivity and abuse, Bauer is in no shape to defend himself even if he weren't being held by the guards. Another man emerges from behind Stolnavich. He's about twenty years older than Stolnavich, so around his 50s. "Gregor," he says in Russian, "enough with this nonsense. We have more important things to do than engage in petty revenge." Stolnavich turns to look respectfully at the man. "Yes?" "The American drone," the man says. "We need your attention." Stolnavich punches Bauer in the face again. "Very well, Mr. Bauer, it seems I have some work to attend to. But don't worry, I won't forget about you." The guards throw Bauer back into the cell and lock the door. Atomic Aviation, based in Arlington, Virginia, is the corporation that manufactures the downed U.S. surveillance drone that the Russians are trying to hack into to reverse engineer the American technology. Inside one building on the Atomic Aviation campus, a shadowy figure shines a flashlight on a touchscreen next to a closed door. The figure types a six digit code into the number pad on the touchscreen, and the door unlocks. The figure slips inside quickly. Inside the room are several banks of computer equipment (not unlike what CTU used to have), and a table with a computer screen, keyboard, and mouse. The figure sits at the computer and logs in. Still driving toward LAX - traffic has gotten much worse in L.A. from the original "24" days, so there's no getting from any one point to any other point in 10 minutes - Chloe O'Brian is talking about what she has endured in the past four years, still trying to get over the deaths of her husband Morris and her son Prescott (not to mention the terribly conflicted feelings involving Adrian Cross, who was killed in London). She has been wracked with guilt over having gotten captured by the Russians in London and then being used as a bargaining chip to get Jack Bauer to trade himself for her freedom. "Did you go back to being an anarchistic hacker?" Kate asks. "No." Chloe was so disillusioned after London that she basically withdrew from society altogether. But about a year ago, her guilt over Bauer became so overwhelming that she worked on tracking down his status and location, and then laying the groundwork for rescuing him. Back in the computer room in Atomic Aviation, the figure working at the computer in the dark gets a cellphone call. "I'm working on it," the figure hisses into the phone. "We are paying you a considerable of money for the access codes you promised, Mr. Stewart," says the voice on the other end of the line in Russian-accented English. "Yeah, I know that. But I can't just download the codes. They change every hour based on a firewalled algorithm. I need to unlock the algorithm to be able to generate the codes for you, and I have to do it in a way that doesn't lead back to me, so I have to be careful in how I do it." The door opens with a click. Stewart turns the computer screen off and darts to the side. A night security guard pops his head in. "Hello?" he says tentatively. Kate does not want to talk about the past four years. Instead, she asks Chloe who else she has in mind to help with the rescue operation. "You mentioned ex-CTU personnel, but I don't think we can count on any of them," she says, "not the way Bauer left things before resurfacing in London four years ago." "Tony Almeida is ex-CTU, but trust me, he left CTU on even worse terms," Chloe says. "Tony Almeida? Isn't he a traitor?" Chloe summarizes Tony's complicated history: from trusted CTU subordinate [seasons 1-2] to head of the Los Angeles office until he was fired for helping terrorist Stephen Saunders in an effort to protect his wife Michelle Dessler [season 3] to surprise rescuer of Jack in a time of need [season 4] to assumed death at the hands of Christopher Henderson [season 5] to reemerging as a mercenary who ultimately tried to get revenge for Michelle's death, even at the expense of Jack's life (a plot that failed) [season 7]. "He was sentenced to life, but he managed to escape from a maximum security prison. He must have had some help." [short feature "Solitary" on the "Live Another Day" blu-ray discs] "The last I heard, he's gone back to being a mercenary." "What makes you think he'll help? It sounds like he blames Bauer for not letting him get his revenge," Kate says. Chloe pauses. "I'm not sure he will. But I think I can talk to him." "I hope he'll listen," Kate says. Stolnavich is in an office overlooking the lab where Russian techs are working on the downed U.S. surveillance drone. He makes a call on his cellphone. Stolvanich growls, "Do you have the access codes?" "I'm close to getting it," Stewart says. "Excellent. When can I expect to receive them?" Stewart smiles. "Well, there's been a complication. I had to kill a security guard, which ups my potential exposure." "Exposure? That is not my concern." "Oh, but it is. Because my concern is your concern. I'm going to need additional compensation," Stewart says. "I think twenty million dollars should be enough to enable me to disappear into a new life." "That is outrageous!" Stolnavich shouts. "Should I just stop what I'm doing and just get the hell out of here right now?" "Very well, you will get what you demand." 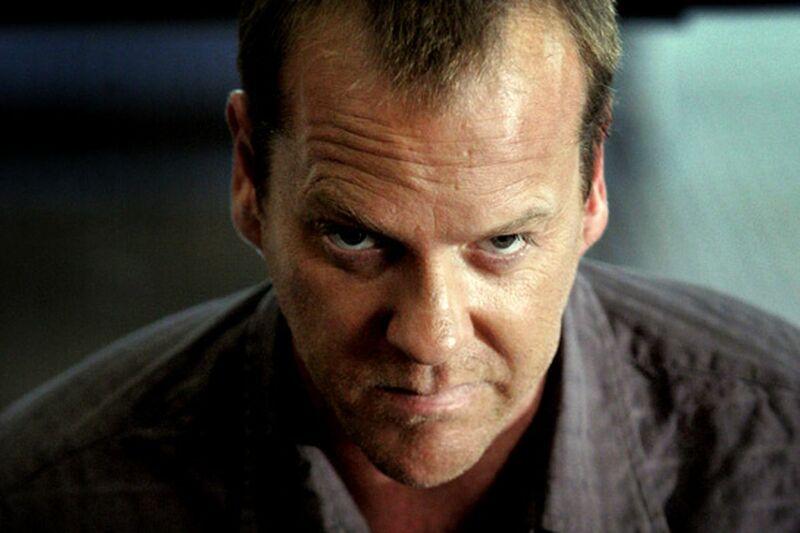 My fan fic idea for "24: Saving Jack Bauer"
Now that Kiefer Sutherland's run as President Tom Kirkland in "Designated Survivor" has ended due to cancellation, he's free to reprise his iconic role as Jack Bauer. From his prior statements, it's easy to get the impression that he's done with Bauer forever, but (1) he was obviously excited about "Designated Survivor" at the time; and (2) he wouldn't need to be in a new mini-series for much filming time in order to give closure to Bauer's storyline. Okay, time for fan fic.... I'm assuming a full 12 "episodes" of the commonly floated idea of "24: Saving Jack Bauer." Here's how I'd start it. The following takes place between 8:00 pm and 9:00 pm (Pacific time). All events occur in real time. KATE MORGAN is in a seedy bar. Two empty beer glasses sit on the bar in front of her, while she drinks from a third glass steadily. The bar TV is tuned to CNN and the current story is about the tensions between the U.S. and Russia over a downed American surveillance drone that Russia has recovered and refuses to turn over. In response, the President has ordered more American military aircraft to bases in Poland and Ukraine. A smug looking guy saunters over, sits next to Kate, and proceeds to hit on her. She tells him she's not interested in company. He tells her she looks like she could use a good massage, and he puts his arm around her shoulders. Big mistake! Kate grabs his hand, twists it behind his back, and shoves him away with her foot. A friend of the guy's calls Kate a nasty name and charges her. She dodges his attack and delivers a sharp jab to his back as he rushes past her. The smug looking guy gets up and takes a step toward Kate, until she does a spinning back kick to his head, knocking him out. The guy's friend turns around, ready for more fighting. Kate growls, "Walk away, you don't want to mess with me." Kate's phone rings. Keeping her eyes on the guy, she answers it. It's CHLOE O'BRIAN. Chloe says, "Kate, it's time to rescue Jack Bauer." TONY ALMEIDA is brokering a black market deal to sell a bunch of guns, silencers, optical scopes, com links, and other equipment to gang members. He appears to be alone, whereas the gang has four people. After inspecting the merchandise, the gang leader nods approvingly. Tony gestures toward the briefcase of cash and asks, "Are we good?" The gang leader chuckles and points to himself. "We are good. You, not so much." They draw their guns and point them at Tony. "We're gonna keep our money and your stuff, and you can keep your life." Tony smirks. "You don't want to do this." "Watch me," the gang leader says. He motions on his followers to start loading the merchandise into their car. Then a red dot appears on the gang leader's chest, and then there's a loud gunshot. The gang leader drops dead. Three more shots follow quickly, and the other gang members die too. Tony packs up the equipment and takes the briefcase of cash. It's a top level meeting of the President's national security staff: the President, the National Security Adviser, a couple of military leaders, and the Chief of Staff. The topic is the downed surveillance drone. The Air Force General is explaining that the Russian military is no doubt trying to reverse engineer the advanced avionics and software of the surveillance drone. If they are able to do so, they will cut about 3/4 of the current drone technology gap between the U.S. and Russia. The President wants to know what steps can be taken to prevent this from happening. The general says that the primary failsafe is remote destruction, but the Air Force has not been able to verify that the remote order was received. Most likely the Russian military put the captured drone in a Faraday Cage to block signals. "Okay, what are the backup protocols?" the President asks. "Please tell me that the software is encrypted," the President says. The general estimates that it will take the Russian military anywhere from 18 to 48 more hours to hack into the software. "Well, that's it, then. We have to get that drone back before then," the President declares. "I want a work-up of proposals to make the Russians turn the drone over. We'll reconvene in two hours." Kate Morgan (apparently not drunk) drives up to a rundown apartment complex. She checks her phone and goes into the building. She goes to one specific unit and knocks on the door. Chloe O'Brian opens the door, and Kate enters the apartment. "How do we even know if Jack is still alive?" Kate asks. "He's been gone four years." Chloe opens her laptop, does her hacking stuff, and pulls up a video feed. It's taken from a Russian detention facility. It shows a gaunt figure huddled in the corner of a small cell. The conditions look awful. Kate peers carefully. "Oh my god, Jack, what have they been doing to you?" she whispers. Chloe says (for the benefit of the TV audience who missed "24: Live Another Day"), "Four years ago, Jack traded his life for mine when the Russians captured me. I owe it to him to try to break him out of there." "We're going to need help to do this," Kate says. Chloe explains that she's been trying to track down BELCHEK. She also knows some former CTU personnel who might be willing to help out of loyalty to Jack. "I don't think we can count on CTU, not with the way things are going with Russia right now," Kate says. "Let's get started," Chloe says. At a military base, Russian hackers are trying to hack their way into the control software of the downed U.S. surveillance drone. Lots of technobabble here in Russian, translated through subtitles for the audience. The gist of it is that despite the hectoring by the commanding officer, the hackers are finding it more challenging than they expected. The officer issues a thinly-veiled threat, expecting successful results soon. Kate and Chloe drive toward LAX. Chloe uses her computer to make flight reservations. Prison guards head toward a cell, open the door, and drag the prisoner out. It's JACK BAUER. He can barely stand, or maybe he can't and needs the support of the guards. A man walks out of the shadows toward Bauer and the guards. "Mr. Bauer, I must commend you on holding out so long," he says. "The good news is that my superiors have given up on getting anything useful out of you." Female action stars by VAR (Violence Above Replacement level)! Serious stat-oriented baseball fans know about a concept called "wins above replacement" (WAR), which is roughly an estimated of how many wins over the course of a season that the player is better than freely available talent. In other words, if a star player were to be injured and miss the season, to be replaced by a minor league player, how many fewer wins would the team be expected to get? WAR is a useful way to quantify the value of baseball players in many different ways. For example, players can be ranked by career WAR, which results in Babe Ruth at the top spot, followed by Cy Young, and then Walter Johnson, Barry Bonds, and Willie Mays to round out the top 5. Or players can be ranked by top WAR in a single season, which results in a bunch of players from the pre-1920s whom I've never heard of (because I'm not that serious of a fan). While watching Atomic Blonde last night, and marveling at how much violence Charlize Theron's character Lorraine Broughton was inflicting on East German and Russian bad guys, I started re-evaluating my own subjective ranking of female action stars. Until now, I'd considered Lucy Lawless (aka "Xena: Warrior Princess") and Angelina Jolie (Salt, Wanted, and Mr. and Mrs. Smith) to share the top spot, with Michelle Yeoh (numerous Hong Kong flicks as well as Tomorrow Never Dies), Carrie Anne Moss (The Matrix), and Summer Glau (River Tam in "Firefly" and Serenity) to be worthy competitors. But oh my gosh, Theron is AWESOME in Atomic Blonde. 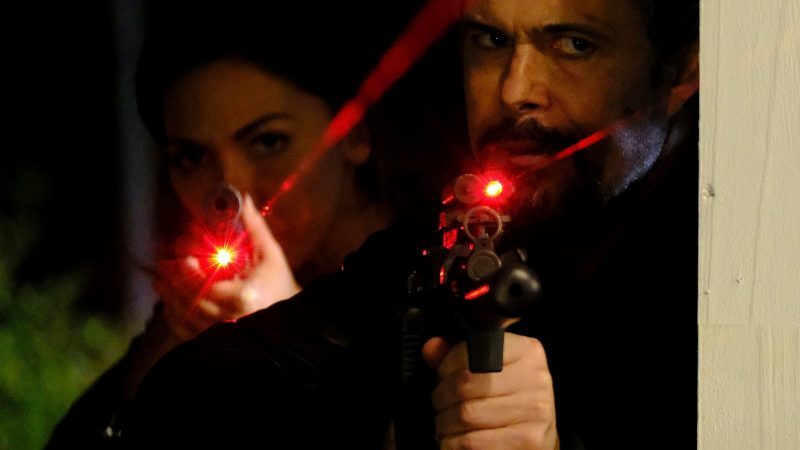 Like John Wick with Keanu Reeves (co-directed by Atomic Blonde's director David Leitch), the movie seems to have been written from a process of imagining the most intense, explosive fight/gun scenes that would showcase using the star and not a stunt double, and then filling in with a story as needed. And hoo boy did the production and choreography team put a lot of imagination into the action set pieces. At 5'10", Theron commands an imposing physical presence on screen, especially when she kicks guys down the stairs. Still, was Atomic Blonde enough to vault Theron ahead of Lawless and Jolie as an action star? I decided to turn to an equivalent of WAR. Instead of "wins," though, the standard would be "violence," as in VAR. For me, Jolie is still #1 in VAR. Besides Salt, Wanted, and Mr. and Mrs. Smith, she was also in two Lara Croft: Tomb Raider movies, which is a lot of violence! Lawless played Xena for six seasons, which is over 130 episodes. Her kill count has got to be higher even than Jack Bauer's. That makes her career VAR quite high too. Theron's tenacious performance in Atomic Blonde might well put her at the top of the single movie/episodeVAR. It's definitely a MVP (most violent performer) role. I haven't seen Mad Max: Fury Road, but I've read that she was very good in that action role, too. That's two high VAR performances, but she has a ways to go to catch up to Lawless and Jolie. In other words, get together with director Leitch and work on Atomic Blonde 2! States I've gone running in - updated! After my short visit to Boulder earlier this week, I got to cross Colorado off my list of states in which I've gone running. It was a short 4 mile easy run around town and parts of the campus. It's actually surprising that it took me so long to mark Colorado, but apparently I haven't visit since before 2011 (other than connecting through DIA). 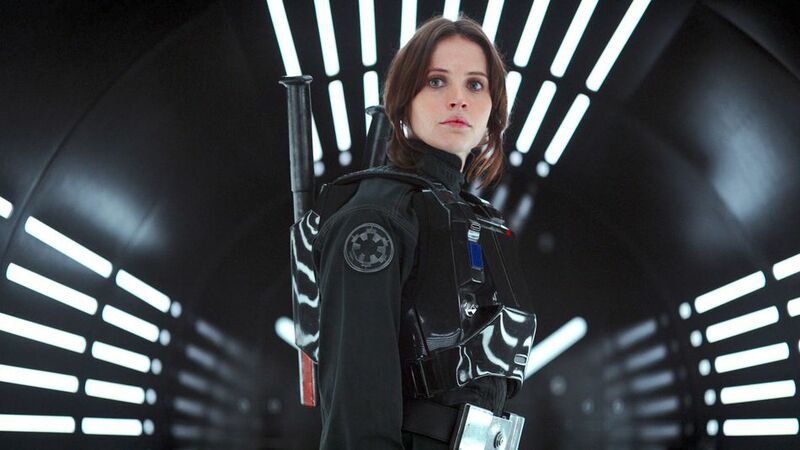 Saw "Rogue One"; where does it rank in the Star Wars pantheon? I finally got around to watching "Rogue One: A Star Wars Story" on Blu-ray and liked it a lot. So where does it rank in the Star Wars movie pantheon in my opinion? For the purposes of this ranking, I'm not including the Clone Wars or Rebels series, only the theatrically released movies - the original trilogy, the prequel trilogy, and "The Force Awakens." 8. (tie) "The Phantom Menace" and "Attack of the Clones"
I don't think the disregard with which I hold these two entries is unusual. Each offered a pretty intricate lightsabre duel and not much else. I have to confess that I've never watched the entirety of "Attack of the Clones," so I guess it's possible it's worse than "The Phantom Menace," but it's hard to see how that would be possible. And while it's hard to choose who was worse as Anakin, Jake Lloyd or Hayden Christensen. 6. "Revenge of the Sith"
5. "Return of the Jedi"
I still like the opening Jabba the Hut sequence even though it's objectively silly. The scenes with Luke, Darth Vader, and the Emperor were pretty good, but the movie is marred by the Ewoks. I've ranted about this before - how a bunch of teddy bears defeated armored Stormtroopers boggles the mind. Not to mention that the space attack scenes are just a copy of "A New Hope." And Luke and Leia as siblings - that could not have been part of the original plan, or else those kisses in "A New Hope" and "The Empire Strikes Back" indicate a perverse mindset. I think this movie benefits from being so much better than the prequel trilogy, but it's really just a mash-up of "A New Hope" and "The Empire Strikes Back." It was slickly produced, and John Boyega was quite charming as Finn. Daisy Ridley was perfectly fine as Rey, but flawless in a robotic and boring way. I do like how it shows that it's easy to complain about the Empire (as the Rebels did in the original trilogy), but running the galaxy isn't so easy. I mean, a mere 30 years after the defeat of the Empire, the Rebels did such a bad job that they're once again an insurgent force, while the First Order has amassed the resources to build Starkiller Planet! It started everything, it was amazing in 1977, but it hasn't aged all that well. And all the tinkering that George Lucas did with it only made it worse. Need I point to anything beyond Han Solo's dodging a laser blast from point-blank range...? 2. "The Empire Strikes Back"
I still think this is pretty good, but there are cracks in my admiration of it. It annoys me to no end that Darth Vader tells the Emperor "if the son of Skywalker will not join us, he will die," when the natural way of saying that would be "if my son will not join us, he will die." Of course, that would take away the shock value later on, but still, it's a bit of cheating. I can accept the superdense asteroid field (even though in reality, there would have been so many collisions that the asteroids would have been reduced to a ring), but how does a giant space worm live in vacuum? What does it breathe? What does it eat? There can't be that many ships that fly into that particular asteroid.